Wanting to have farm fresh eggs in your own backyard? Looking to have a fun and easy pet that also provides you food? Wanting to take control of where your food comes from? Tired of poor quality eggs at your local grocery store? Concerned about what you eat and what you eat eats? 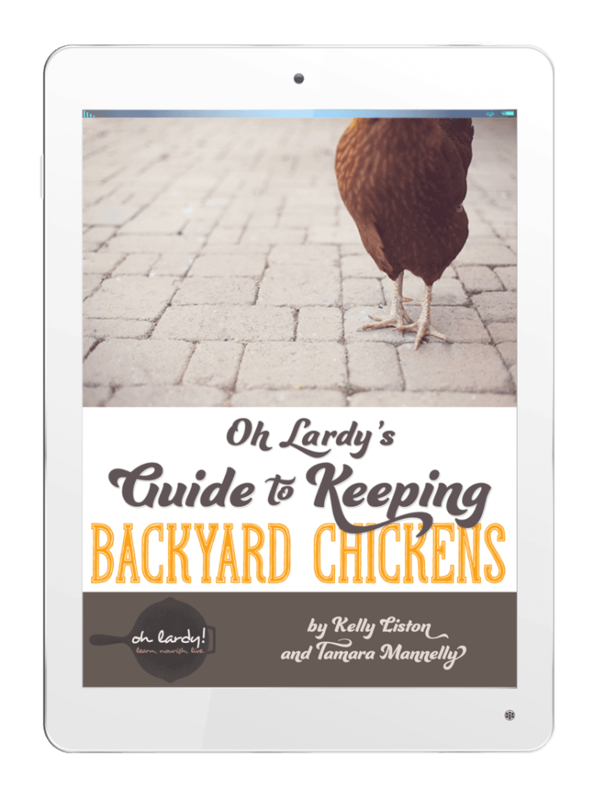 We are so excited to present our e-book Oh Lardy's Guide to Keeping Backyard Chickens to you! You will answer these questions and more! 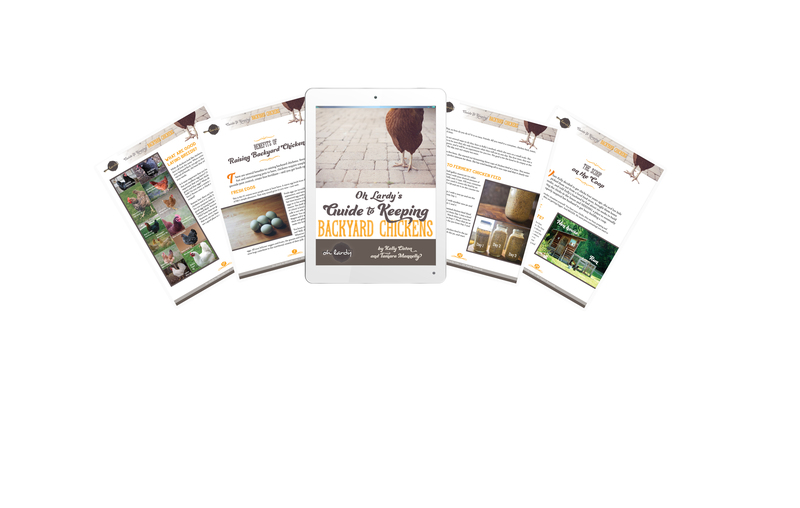 Our guide to raising backyard chickens will help get you started. 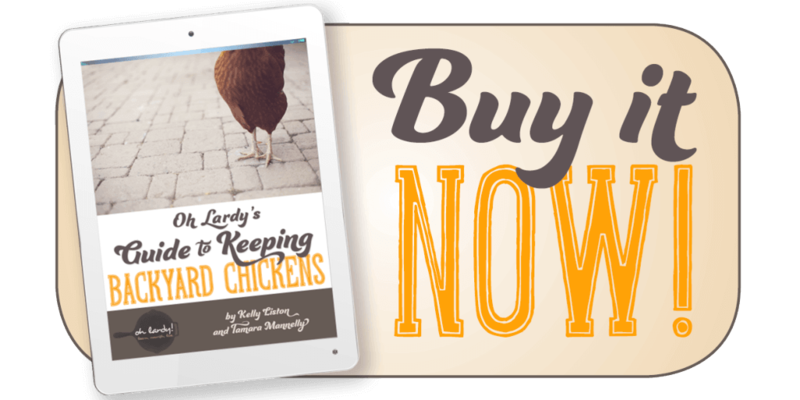 Oh Lardy's Guide to Keeping Backyard Chickens covers everything from caring for chicks, to building a coop, eggs, feeding and caring for your hens. 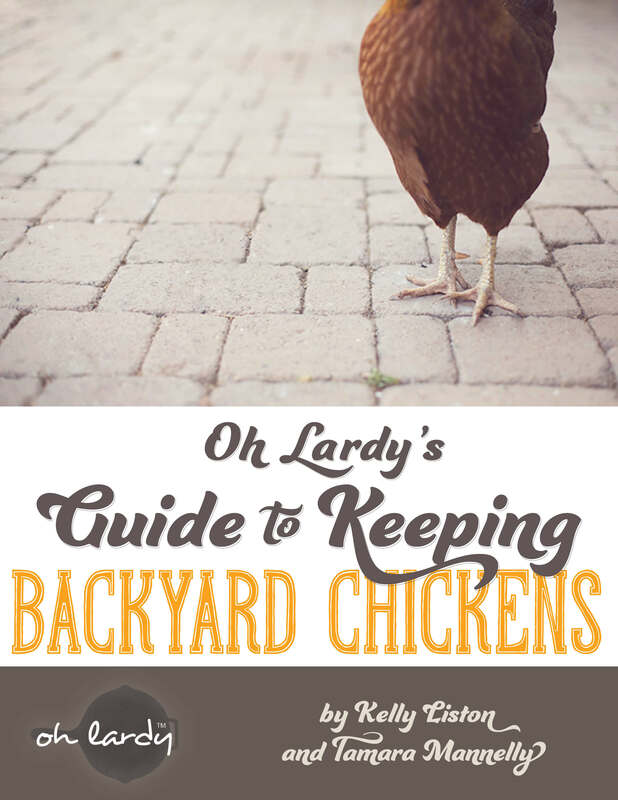 This book has everything you need to get started with building your own backyard flock. The benefits of keeping backyard chickens at your own home. How to get your backyard flock started with chicks and grow from there. How to feed and care for your chickens easily and with confidence. How to plan your brooder and your chicken coop to ensure a happy living space for your chickens. How to take care of chickens in a variety of climates, hot, cold, rainy, dry…you can have chickens pretty much anywhere! This is a digital e-book, not a print book. This e-book can be downloaded and read on your iPad, Kindle, smart phone, computer…almost any device! You can read this e-book anytime, anywhere. Also, if you are using Paypal to order, be sure to note the email address of the Paypal account you are using. The email automatically goes to that email address. If for some reason you do not have access to that Paypal email address, please email us at ohlardyblog at gmail dot com and we will email you the book. Our e-books are copyrighted. Your purchase does not entitle you to share the files or upload them anywhere online where others can access them. Sharing e-books is theft and steals from the authors who work so hard to create these wonderful resources, so please make sure that you respect my copyright. Interested in becoming an affiliate for our book? Click here for more information!